13577 Brynwood Ln Fort Myers, FL. | MLS# 216073664 | Southwest Florida Residential Real Estate for Sale. Fantastic neighborhood of large estate homes in beautiful, upscale gated community. 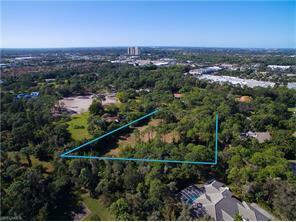 2.2 acre building site in popular Brynwood subdivision, a gated community located off Daniels Road and 41 in the heart of South Ft Myers. Be spoiled by being close to everything SWFL has to offer yet feeling like your out in the country. Dining, shopping, schools, medical, night life etc are all out your private gated community. One of the Best kept secrets in SWFL. Lots of trees, big yards, great neighbors, pet friendly, low density acre ++ lots, privacy, and more. Awesome Property to build your families dream home. See Movie/V-Tour.